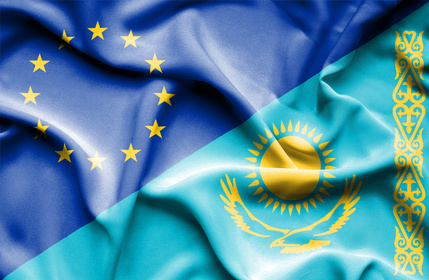 The annual EU-Kazakhstan Human Rights Dialogue is scheduled to take place in Astana on 26 November 2015. Together with Kazakhstan International Bureau for Human Rights and Rule of Law (KIBHR) and the Kazakhstan NGO Coalition against Torture, International Partnership for Human Rights (IPHR) has prepared two briefings for this meeting, highlighting key human rights concerns in Kazakhstan that the EU is asked to address with the authorities of the country. This briefing covers key issues such as: the pattern of forced media closures; court rulings awarding huge damages in defamation lawsuits targeting media; arbitrary and indiscriminate blocking of websites; criminal charges initiated on “inciting” discord, “spreading false information” and other offenses that are open to enforcement restricting the legitimate exercise of freedom of expression and other fundamental rights; the adoption of new widely criticized NGO legislation that may be used to unduly restrict the activities of NGOs; and the continued enforcement of repressive legislation and practice on peaceful assemblies. The authorities of Kazakhstan have implemented some significant positive steps in recent years in the area of torture prevention and eradication, but torture and ill-treatment are continuing and impunity is still the norm. This briefing highlights concerns in the following areas: implementation of fundamental legal safeguards; investigations into allegations of torture and other ill-treatment; implementation of the Istanbul Protocol (medical); implementation of UN treaty body decisions on individual cases; and the National Preventive Mechanism.